Summer is such a great time for fresh fruit and veggie salads. 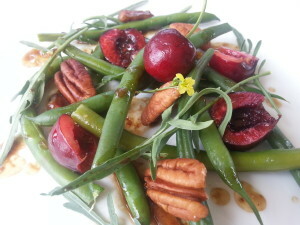 With cherries and green beans in season, I created this salad to bring to a potluck. It’s also easy to find Texan pecans. Our wild arugula came alive again with some lovely rain and even produced more flowers. they make a great filler for homemade eye and neck pillows. 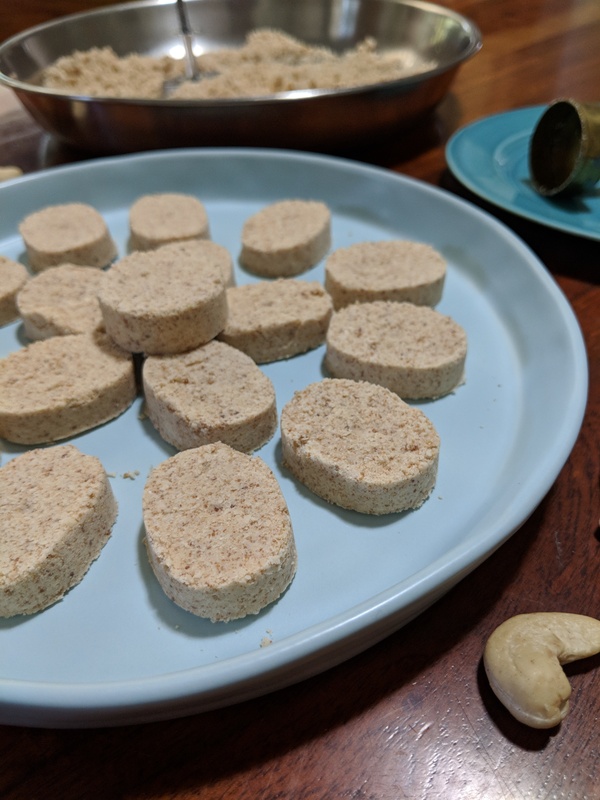 You can put them in the freezer for cool or in the microwave for warm. Heat a large pot of filtered water to a boil. Add the green beans and blanch for 1 1/2 minutes. Drain is a colander and place green beans in a bowl of ice to stop cooking. Once the green beans are cool, drain in colander again and place in a serving bowl. Take the pitted cherries (reserving a few left whole and with a stem for garnishing) and cut them in half and add to the green beans. Toast the pecans on low in a cast iron skillet and add to the green beans. Add the arugula. Mix all the ingredients for the dressing and add to the green beans. Serve garnished with more pecans, cherries, arugula and flowers.